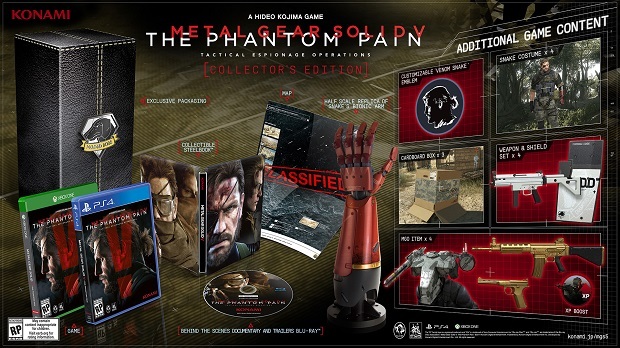 Konami has revealed the collector’s edition for Metal Gear Solid V: The Phantom Pain. Through a leak, it was revealed that The Phantom Pain will come to PlayStation 4, PlayStation 3, Xbox One, and Xbox 360 on September 1st. Konami has now confirmed that the Steam version will be coming two weeks later on September 15th. For more on Metal Gear Solid, check out Gaming Trend’s review of Ground Zeroes, The Phantom Pain’s prologue.